Every parents nightmare is when their child becomes a teen and starts to drive. Keep them safe and in the know! Let's face it, we all wish are children could stay children. But that's not reality, they grow up, become teens and begin to drive. Every parent dreads the day when they are finally handing over the keys to their car to their teen to drive alone for the first time. So many thoughts are going through our heads---are they being safe and how many friends are in the care, are just a few. Teen drivers have a higher rates of crash involvement, injury, and fatality than other driver groups. These rates are especially high for new drivers, but decline over the first few months of driving experience. But the facts still remain that these rates are sill greater than adult drivers. NHTSA did a study where they showed that the presence of an adult with a newly licensed teen lowered risky driving acts and crash involvement. This information is based on the fact that with an adult present, instructive feedback can be given and there is potential for a negative response or sanction. 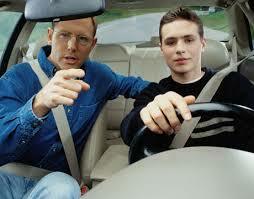 The adult can address the teen driver's problems and help correct them on the spot and over time. Parents cannot be there with their teens all the time, so the NHTSA has proposed a way to monitor teen driving called, "An exploration of Vehicle-Based Monitoring of Novice Teenage Drivers". This comes as a way to mitigate teen crash risks using in-vehicle technology. This project had employed vehicle-based sensing to provide real-time feedback to teen drivers. It will not include a "reporting" program and send reports to the parents. The focus is to give direct and immediate feedback to the driver and/ or some adaption of vehicle response such as; cut-off of the infotainment system or speed limitation. This is a great idea. Often times teens are nervous when driving with an adult, with this new in-vehicle system, the teen can be themselves and receive the appropriate feedback in real time without feeling like they are being punished by their parents/adult figure. 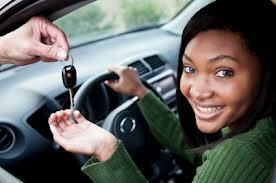 It gives teens the oppurtunity to correct their own mistakes and become more aware of the risks while driving. This is a great system for teens, but it would be a great system for ALL drivers. With experience the rates do decrease, but the rates of accidents are still high. If everyone had a monitoring system like this, driving could become a lot safer. We cannot control others, but we can control ourselves and our actions. Be safe and share the roads. For more information on STC (Safer Teen Car) head over to www.nhtsa.gov. To read more about STC follow the link. The attorneys here at Donahoe Kearney, LLP have handled many personal injury cases getting our clients the results they need and deserve. If you have been seriously injured in an accident reach out to us, let us know how we can help you. Even if we cannot take your case, we can refer you to attorneys we know and trust.